Kasey Repass, parent and Gala Chair of JDRF, and Brooks Biagini, Executive Director of JDRF, join us to share stories and facts about how Type 1 Diabetes. They also share how sponsorships and donations directly impact their families through groundbreaking research to cure T1D. For tickets to the 18th Annual JDRF Miracles Gala, click here. For more information about getting involved with the North Florida chapter, click here. Josh: Good Sunday morning, Jacksonville, my name is Josh McCarthy here with News 104.5 WOKV and I want to welcome you to another weekend of the Ask the Experts weekend. And this experts show is dedicated to the workforce of today and tomorrow. Pete, the Job Guy, Langlois introduces his listeners to Jacksonville’s most innovative companies and he explores the career journeys behind some of Jacksonville’s top influential individuals and this is all done, all of it, with an honest and entertaining filter that is unique to Pete Langlois, the hard worker himself. Take it away Pete. pete: Good morning all you hard workers out there. Wow. I am so happy. It’s Sunday. It’s a big day.  Like I say every Sunday, you made a good decision by joining Hard Worker with me, Pete the Job Guy. Why? Well, we’re going to give you some career advice and some tips and we’re going to tell you about some things that you can do to help make your life just a little bit better. So if you’re old school like me, grab a pen and a piece of paper and jot down some notes. If you’re new school or a millennial like my co-host Arren, you get your thumbs ready and tap out some notes on your device and make sure you write down some things that you’re going to do differently as a result of the time you spend here with me on this show because you will be the better for it. pete: It’s Sunday, it’s Sunday. I’m so happy that it’s Sunday and the Jaguars have gotten a win today. That’s great. Well, as always, I’m going to kick off today’s show. I’m going to tell you a little story. We have some great guests today and wait till you hear what we’re going to talk about. That’s fantastic. Before we get to it, the story I’m going to tell you is a little story and some of the stories I tell you paint myself or paint me in a good light, a positive light, and I tell you some of the things that I’ve done that are good things and today I’m going to talk about one of those, what we’ll call a learning moment. pete: So this is a learning moment story that I’m going to tell you, and it deals a lot with time management, how to properly manage your time and the show goes out to all the workforce, right? We’re all workers. We’re not trust fund babies sitting on a pile of $100 bills. We are today’s workforce. We all have jobs and with jobs we have so many things to balance. We got bills to pay. We got kids that need to get to the soccer games and baseball games and piano practice and they have to be fed and clothed and you yourself have to make your own doggone coffee and your eggs or whatever it is. There’s a gym with your name on it that you go to or you don’t. pete: There are so many things that are pulling us in just so many different directions and time management is tough. But this is my little learning moment that deals specifically with time management. When I was kind of more of an up and comer, I still do a lot of these things that I’m going to talk to you about today, but when I was an up and comer, all buttoned up, my shoes are spit shined, my suit fits perfectly, I have my crispy white shirt, my bright tie, dark suit and I’m just walking with a swagger down the hall. That’s who I was, always buttoned up. pete: I had my short-term goals, my long-term goals, and then every day before I left for the day, at the end of a long day, I would have a plan for the next day. Always have a plan and everything has to fit neatly within my plan. From point A to point B, my whole day is planned to the T because I always say, “Plan your work and work your plan.” So I get up one day, just like every day, I’m in the office before 6:00 AM because that is the way I roll, hard workers, and I’m in there and I’m giving it everything I have and I look at my schedule and I go right down and everything I’m doing, I’m checking the box. I am checking the box, getting everything done. pete: And I said, “Baby, I just can’t. Is there somebody else we can call or somebody that we can send over there from the office to help you?” And she reminded me at the time that she was pregnant and I said, “Oh honey, you know what? I have a plan. I have to stick to my plan. I really can’t. I can’t move this appointment. I can’t move this one back. Why don’t you call Matthew in the office, maybe he’ll come get you.” That’s a learning moment for me, right then and there. I don’t care what my plans were that day. I should have stopped my plans. I should have done something differently. I should have hopped in my doggone car, rode over to where my pregnant wife was and fix the car or at least put her in my air conditioning car and got her to where she needed to go. pete: Because right now we’ve been married for so many years. I can’t … You know what? It’s funny. It’s my anniversary is next weekend and we forget our anniversary. When you get to a certain age and you’ve been married for 175 years you forget your anniversary sometimes. We’ll do something special, but anyway, here’s the deal, is for the rest of my life, I am paying for that and I don’t care if I forget to do anything right now. Oh, you remember that day when you wouldn’t stop what you were doing and get into your car and help your pregnant wife? You told me to call Matthew. I’ll never forget that day. pete: So what I tell you guys, this is a learning moment for me to understand that we have short-term goals, we have long-term goals. We have a daily plan that we might have, but understand that life gets in the way and you might have to reprioritize everything else. When you’re in that moment, think about, “Okay, here’s my plan. I’m working my plan, but I have to do this now.” See, life will scramble up your plan like it’s a plate of eggs. Okay? And in this case it did and I should have changed my doggone plans. pete: So I want you guys to learn from me, Pete the Job Guy, who’s full of mistakes. This is a big one I made, a full pot on a grand scale. Don’t be so rigid in your plans and time management. Sometimes life will just throw out whatever you have and you have to be ready for that and adjust and make the appropriate adjustments. Okay? And now with me, as always, is my co-host, the world famous Arren Mills. Arren, time management. Come on, you got a story, you got a plan. What is it? What does it mean to you? arren: I am probably the worse, but my husband will say I’m the best. So I guess it really depends on who you’re asking. pete: Have you really read any of these or you just kind of look at the cover? arren: I always put like five in my cart and Michael’s like, “Are you going to read those?” And I’m like, “Let me just open a couple.” So guilty pleasure. I’m still working on it. And I believe that there are tips for everybody. pete: Well, like I say every week, Arren should wear a cape. She’s fantastic in everything she does. She’s a good communicator. She’s on time, not today, but every other day she is. pete: Anyhoo, you understand time management because we have crazy deadlines. We work two jobs basically. We have a lot of crazy deadlines. You hit them all the time, so you must manage your time well. Let’s shift gears. arren: Yeah, let’s do it. pete: We’re here today. We have our guests that came in and I’m really particularly excited because this is a cause that I’m really rallying behind and we’re happy today to have two guests. One is Brooks Biagini. Okay. I was going to say Biagini, but it’s Biagini. And when she told me she kind of made this bottle reference in the I Dream with Jeannie kind of thing with her hands. So Brooks Biagini and Brooks is the Executive Director of JDRF. pete: For North Florida. And also have Kasey Repass here, who’s co-chair of the Miracles Gala and a big supporter of JDRF. And I’m so glad to have you both here on Sunday morning. kasey: It’s nice to be here. Thank you. pete: Let’s start off first with Brooks. Tell us a little bit about JDRF. brooks: Sure. Well, JDRF, it stands for the Juvenile Diabetes Research Foundation, now known as JDRF. It was formed 48 years ago by two moms wanting to find a cure for their children that have Type 1 Diabetes up in New Jersey. And since then it’s grown into this international global organization. JDRF is a top private funder of diabetes research worldwide, all grassroots led. Still just like the founders had envisioned it years ago and we funded nearly $2 billion directly to research now. pete: Oh, that is outstanding. And this research … You’re not just funding the research. You’re looking at these companies and they’re putting money into finding the cures and helping make life better for people that have T1D, Type 1 Diabetes with the end game of trying to find the cure. brooks: You got it. Yeah, that’s right. Really trying to improve lives along the way and reduce the long-term complications, reduce the everyday burden, but our end game is still the cure and that’s what we’re working on as well. pete: Well, that’s great. Kasey, I want to bring you into this too. I know you have a personal story with T1D and please share that for our listeners. kasey: I do, I do. I have a daughter Robinson. She is now 14. She was diagnosed April 2nd and she was four years old at the time. So we’re now at our 10 year diaversery, we call it. pete: A diaversery, I love that. kasey: Diaversery. And really we’re very proud of it because every day, every year we’re just keeping her alive. When she was four, she lost a lot of weight. kasey: These are the symptoms, yes. pete: … diabetes. I have Type 1D.” They have to present certain symptoms. What do those symptoms look like? kasey: We had no idea either because we had never talked about it in our family. It’s not something that … A father or grandfather that had it. But she lost a lot of weight, went down in size and she was chugging bottles of water and we thought it was funny. We were like, “Wow, look at her chug the bottle of water.” But then she was four years old, potty trained and would wet the bed at night and have to stop very frequently to go to the bathroom. And she was extremely lethargic and just didn’t have the energy that she needed, which is what Type 1 Diabetes is. It’s an autoimmune disease where your pancreas, the beta cells, creates insulin and insulin goes around and collects the sugar in your body from the carbohydrates that you eat and it gives your body energy, the energy that it needs. kasey: So she wasn’t getting the energy that she needed and all the sugar was floating around her body. So she’s chugging the water to try to spill out all the sugar from her body and flush her kidneys. So we took her in to the pediatrician thinking that she had a UTI or something. We were like, what’s going on? We’re all packed up, ready to go to the beach, meeting some friends. And she went to the bathroom in the cup and they said, “You need to go straight to the ER. Her sugars and normal range for a four year old is 70 to 180 actually.” It’s now 120. And her sugars were 860 by the time we got to Wolfson. And Wolfson was amazing. Nemours is amazing where they take care of her. We have about 1,000 children in the area, but then diabetes, Type 1 Diabetes doesn’t just strike children. It can strike anyone at any age. So you’re not immune to it. pete: Let me ask you this because I want to go back to the four year old. Okay. We have a four year old lethargic, guzzling a lot of water. Some other things you said here. kasey: Going down in size, losing weight. pete: Going down, losing weight. What are some of the other symptoms maybe she didn’t present, but maybe some other things that might not be so telltale? kasey: Well, one thing we thought … We were carpooling with another girl to preschool and she kept vomiting in the back of the car. We thought it was because she was driving through marsh landing and the windy roads, but we realized that the vomit was because her body couldn’t process the sugars. So you think it’s this … The throw up virus that all the families are getting passed around. And we’d take her home from school, but that, and then she really had sunken eyes, she looked dehydrated. It’s so subtle and it comes on so quickly you don’t … Within a two to three week period and you have to catch it quickly because a lot of these people will end up in DKA, which is like ketoacidosis and they’ll end up in the hospital in the ICU. If you don’t catch it, they could go into a coma and you could die. It’s very … It’s not a good thing. pete: Oh, that’s terrible. Now, the JDRF. And I’m going to go to Brooks again. JDRF does a lot … How can people learn more about JDRF and what are some of the other things with JDRF does as well? brooks: Sure. So people can visit our website, JDRF.org, any time to learn about the services that we do locally. Like Kasey said, when her daughter was first diagnosed at Nemours and Wolfson’s. JDRF actually has a program called The Bag of Hope Program. So in addition to funding these important research efforts, we’re also providing mentors and comfort and support systems to those that are diagnosed when they need the support the most. brooks: So whether it’s children, we partner with Wolfson Children’s Hospital and have a program where they actually give the child and the family a blue backpack that’s got a teddy bear named Rufus, the bear with diabetes and they can practice giving insulin shots on the bear, as well as some books, carbohydrate books, all kinds of tools. It doesn’t make it all the way better, but it just gives them something to mark that day and new life. And then from that, we also will pair them, the family, with another family that’s got a child around the same age or lives in the same area so that they have a friend. So that’s kind of like today’s support group. kasey: Huge. It’s huge. When we were first diagnosed, when anyone’s first diagnosed, you’re in the hospital for like four days trying to relearn how to take care of your child. pete: So these other families come in and tell you what they’re dealing with. kasey: Go Becky Gray. to go back and grade. And I just remember breaking down in the Walmart parking lot after having issues with the pharmacy and trying to get all of the prescriptions and everything and calling her. And it is just, it’s a life saving thing and the support system at JDRF is invaluable. You can’t replace it. pete: And since your daughter, since her diagnosis, things changed, right? You’re always looking for new and different ways to improve the lives of people with T1D. Before I remember it was a big shot, you had to take the shot, but now there’s pumps and there’s different ways to test blood levels. Tell me about that. kasey: So when we were first diagnosed … I went like on. Sorry. kasey: When we were first diagnosed, she got 7 to 10 insulin injections a day and we tested her blood sugar by poking her finger anytime … I mean, 12 to 14 times a day, especially throughout the night you’re looking at this kid going, “Is she dying? Is she awake? Is she alive? What’s going on?” And since then we have gotten the insulin pump, which now she only gets one injection every three days to insert a catheter that gives you like a background insulin, a basal rate they call it. And then every time she eats, she calculates her carbohydrates that she eats, she tests her blood sugar and she entrusted into that pump and it automatically administers the amount of insulin that she needs without having to calculate the insulin to carb ratio or the correction factor based on what her blood sugar is, if it’s out of range. kasey: So that has been a tremendous change and then the biggest change for us. We had, before this, multiple incidences where she went low during the night and we were unable to detect it even though we were waking up every hour testing her blood sugars, taking turns. The Dexcom sensor actually came out. We got it in 2014 and it is a life-changing thing because it gave us a good night’s sleep. What it is, is another transmitter that’s inserted into her arm every seven days and it alerts us at night or any time during the day on our cell phones when she goes low so that we know that we need to run upstairs and give her a juice or back off on her basal rate or the insulin that she’s getting. And it has saved us multiple times from having to deal with the seizure and go to the hospital again because she’s gone too low in the middle of the night from exercise and all the activity for a child. pete: This is why giving to JDRF is so important because this is the type of thing … It’s funding things. Do you hear how much better life becomes as technology advances for people? brooks: And really cool is I can remember what Kasey’s talking about, the Dexcom, which is a version of the Continuous Glucose Monitor that I can remember our CEO at the time, I’ve been with JDRF for 12 years and 10 years ago our CEO laid down his own personal million dollars and he said “This I want to find toward the Continuous Glucose Monitor, which is the first part of the artificial pancreas project.” So this, that Kasey’s talking that there was a different version at the time, but it was actually funded here in our backyard at Nemours Children’s Clinic. JDRF was funding the research. International organization, but we have such brilliant people here, even in our backyard that did the research and families that were involved. kasey: We actually were in a trial for the Navigator, it was just another type of sensors. We try to participate in as many trials as we can. We’re lucky to have Nemours. brooks: We really are. It’s tangible, right? Research is very loose. It’s vague. A lot of people do fund research and that’s great, but I feel like the difference with JDRF is that we really, now more than ever, have a story to talk about. Research looks like insulin pumps, it looks like Continuous Glucose Monitors, it looks like the artificial pancreas, which the first version got FDA approved this past year. So that means more choices are coming down the pipeline because everybody else wants to get in on the industry to have choices. So, that. But ultimately a cure is our ultimate goal. brooks: It’s a closed loop. So it’s external. It’s not an internal bias. pete: You know what’s interesting? We talked about, at anytime you could get diagnosed with H1D, your parents or grandparents don’t have to have it. It can affect anybody. What is the difference, and either one of you guys? What’s the difference between Type 1 Diabetes and Type 2 Diabetes? brooks: So Type 1 Diabetes is autoimmune. It’s like rheumatoid arthritis or a lot of different syndromes and diseases. brooks: Yeah. So we don’t know exactly what causes it, but it’s something that without insulin and proper carbohydrate counting and a lot of management, you can pass away and it’s the reality that we live in. Type 2 Diabetes, it’s a metabolic disease, so also very serious. We have to take care of it for sure, but it’s metabolic, meaning that it is, in many cases it’s curable. You can diet, exercise, follow nutrition, get things under management and take a pill. Maybe you have to take insulin, maybe not. It’s hereditary many times as well. But that’s the real difference. Metabolic, Type 2 Diabetes. Type 1 is autoimmune. pete: Well, let’s talk about something cheery right now and really good. Good advances. Oh, and it seems to me like a lot of the advances in treating H1D. brooks: It’s okay. T1H [inaudible 00:20:51]. kasey: It helps Type 2.
pete: Sorry. Have happened in the last 10 years. The most advances have happened fairly recently. kasey: The fly wheel is turning and we can’t stop it. We have gone from just like five trials to like 70 that are out there right now. The research is there. We just need the funding. We can’t get enough funding fast enough. We’ve gotten lots of funding from the government. They believe in us and they believe in JDRF, putting the stamp of approval on these trials that are out there. brooks: And when she says we, that doesn’t mean that JDRF is getting the funding. It means that JDRF is advocating for the funding to go to the National Institutes of Health for them to fund it. brooks: Yeah, which is awesome. We have a great partnership with our government as well. pete: Well, let’s talk about this. One of the major events right now is your Miracles Gala that’s coming up and this is the way that people can get involved and have a lot of fun while doing it, but talk about what we have going on. When it is and how people can sign up and all that. kasey: Sponsor for our bar. Thank you. pete: When I sponsored bar, I’m going to tell you. This is fun because I like having a good time. Pet the Job Guy may imbibe once in a while, that may happen and I’m going to drive there, but I’m going to tell you what, Essie, my Cadillac is going to be parked there for the evening because I may have a little bit too much fun and I’m not just mozying on upstairs and staying at the hotel because that’s the way I roll. brooks: That’s the way to do it. It’s really the way to do it. kasey: The bar was definitely raised when you sponsored our bar. pete: I have a little bit of a reputation [inaudible 00:22:27]. kasey: Right. The 18th Miracles Gala. It’s a themed One Night in Old Hollywood. It is presented by THE PLAYERS, Johnson and Johnson Vision and the Michael Ward and Jennifer Glock Foundation. We are so appreciative for our presenting sponsors. kasey: It’s held on November third at the Sawgrass Marriott Golf Resort & Spa. And the evening will feature cocktails and hors d’oeuvres, a seated dinner, silent and live auctions, and a Fund A Cure program. And the evening of celebration will also include live music by The Chris Thomas Band and dancing with Pete. pete: Anybody wants to challenge me to a dance up. pete: The Chris Thomas Band. pete: Chris Thomas Band. I’m going to tell everybody. If you haven’t heard this guy. This guy can sound exactly like Frank Sinatra and just roll it into some old Marvin Gaye. So he’s got a big band behind him. I’ve seen this guy. He’s phenomenal and that dance floor will be occupied every night. Stop by the Pete the Job Guy sponsored bar first. Get a little bit of some liquid courage out on the dance floor. But seriously, this is a band and the event that you want to be a part of. brooks: Yes. And also, we have this year’s honoree, which is Mr. Bill Hughes, who is one of our favorite people. He’s been with the PGA Tour for over 30 years now in his golf profession. He’s the Regional Director of Operations for the PGA Tour golf properties. So he oversees a lot of the courses. He was responsible for seeing the updates to the TPC Sawgrass several years back as well. And he is serving as our honoree this year. He’s contributed a lot of passion, heart, raised a lot of dollars over the years for JDRF. And so we’re excited to pay tribute to him with the living and giving award that night. kasey: He’s a good guy. kasey: Yes. And we have some really good auction items too. We have a trip to the Rachel Ray Show with two tickets in New York. kasey: We have a Jag experience. We have four tickets to the owner’s suite. And for pregame, you get to go on the field. We have a guitar autographed by Leonard Skinner, Kid Rock and the Jacksonville Jaguars coach, just for you. kasey: And we also have a helmet and football autographed by the same people. brooks: Chef’s dinner in home. kasey: Chef’s dinner. So lots of jewelry. Lots of jewelry. pete: So if people want to hear more about or learn more about the Miracles Gala, how do they do that? brooks: So they can go to NorthFlorida.JDRF.org and learn about all the details. They can purchase tickets. If they can’t attend, but want to make a donation, they can do that. They can sign up to … We actually have mobile bidding so they bid with their phone as well. But yes, you’ll only hear that on Pete the Job Guy. kasey: And we still have sponsorships available, if anybody else wants to sponsor with their company. pete: Okay. Kasey and Brooks. Hang on for just a little bit. That music’s telling us it’s the bottom of the hour. Let’s take a break. You’re with Hard Worker, with Pete the Job Guy on WOKV 104.5 FM. Welcome back all you hard workers. We’re lucky right now. We have the folks from JDRF with us. We have Brooks and Kasey with us. And I would imagine that employers … I’m a large employer here in town and nationally and I imagine T1D has got to impact employers and as an employer, companies should donate to the cause. What are some of the statistics or some facts around employer related expenses for T1D? kasey: Right. There is not one company in the city of Jacksonville that is not impacted by T1D. The amount of people being diagnosed with this disease is growing exponentially. We have 40,000 people a year that are diagnosed just in the United States and 5 million people in the United States are expected to have T1D by 2050. This disease is just outrageous. There’s also, in the United States there are $14 billion dollars in T1D associated healthcare expenditures and lost income annually. So if your company sets aside reserves to donate philanthropically, it behooves you to donate to JDRF. Not to mention that 80% of what you donate goes directly to research. We have a very low overhead and so dollar for dollar, your impact is incredible. pete: … how much it’s benefiting the people. There’ll be less downtime at work, healthier employees because it impacts all of us in one way, shape or form or another. You guys have been phenomenal guests. I’m so glad that you shared your Sunday morning with us. brooks: Thank you for having us. pete: Thank you Kasey. Thank you Brooks. kasey: Thank you so much Pete. brooks: Thank you and good Jags. A University of Florida graduate, Kasey is a former senior auditor and tax accountant, former director of finance, and a certified CPA (yes, this supermom still keeps this up!). Now a stay-at-home mom, Kasey currently serves on the (JDRF) board and was the 2014 honorary speaker for The Miracles Gala, as well as the 2017 Gala Chairperson. The Repass family has also been one of the top JDRF fundraisers since 2010. On the weekends, you can find the Repass family (Kasey, D.R., 15-year-old J. Lee, 13-year-old Robinson, and 8-year-old Ryleigh) fishing, hunting, paddle boarding, attending The Church of Eleven22, and watching their kids play sports. Brooks serves as Executive Director of the Juvenile Diabetes Research Foundation (JDRF), North Florida Chapter, where she’s been for the past 12 years (2006), minus a brief departure in 2014. She, along with her staff and volunteer partners are responsible for raising $1.3 Million annually. The chapter hosts two core annual events, the JDRF One Walk and the Miracles Gala as well as an array of outreach programs and resources. Prior to joining JDRF, Brooks served as Regional Director for the Arthritis Foundation of Northeast Florida where during her five-year tenure she served in several capacities including: Special Events Coordinator, Program Manager, and Regional Manager. Prior to entering the non-profit sector, Brooks worked as a marketing coordinator for a NASCAR Winston Cup team where she gained invaluable experience in the sales, marketing and presentation arena. Brooks is a proud graduate of the University of Florida, holding a degree in Advertising from the College of Journalism and Communications (2001) and a proud wife to Michael (Tony) Biagini and mom to two girls, Zoey (9) and Rachel (7). Her hobbies include photography, travel, attending concerts, family time and being active with Christ’s Church of Mandarin, where she’s a member. Visit my Instagram to view my video about our Sponsorship Announcement.